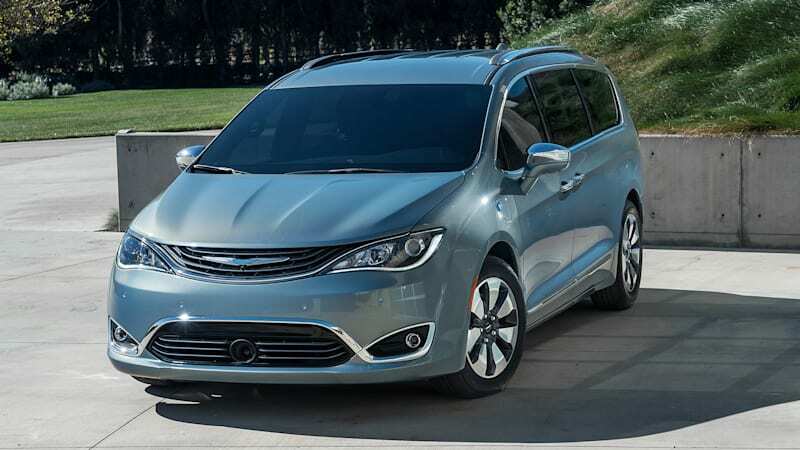 2017 Chrysler Pacifica Hybrid Quick Spin | Dad tested, kid approved originally appeared on Autoblog on Fri, 28 Jul 2017 12:01:00 EDT. Please see our terms for use of feeds. I’m a long time Chrysler minivan owner, we bought our first in 2008 when our first child was born and have had three now and looking to get a new one soon. All three have been town and country limited, my kids are spoiled with the interior and entertainment systems. We have been very pleased with them. It’s time for a new one and when you consider the fed tax credit, I can’t imagine why anyone would buy the non hybrid. Does Anyone know why you can’t buy a 2017 or 2018 Pacifica hybrid limited with drivers seat memory? its the simplest feature and makes all the difference when changing between the wife and I who are different heights. My wife tells me without it she can’t ever seem to get the seat and mirrors back to where she likes them. Any chance Chrysler can add this feature with an app on the display and can discard the need for the physical button on the door? Tesla deals with this issue that way.